Portland-based investment firm Arnerich Massena announced today that Reegan Rae, Certified Private Wealth Advisor®, has been made a principal of the firm and promoted to a senior investment advisor position in the firm. As a senior investment advisor, Ms. Rae assists in the development, execution, and ongoing management of client portfolio investment programs, coordinating client portfolio management and developing client relationships. Ms. Rae has joined the firm’s shareholder group as a principal of the firm and sits on the firm’s Board of Directors. She also serves on the company’s Product Committee and Portfolio Management Committee. Reegan Rae, CPWA®, has more than 12 years of industry experience. She joined Arnerich Massena in 2012; prior to that, she served as a registered principal and member firm relationship manager for M Holding Securities and as financial advisor for AXA Advisors. Ms. Rae earned her Certified Private Wealth Advisor (CPWA) ® designation, an advanced credential for wealth advisors who work with high net worth individuals and families. She earned a B.S. from the University of Oregon. She is a current FINRA Series 65 license holder, and a former FINRA Series 7, 66, and 24 license holder. 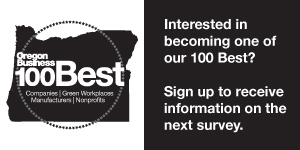 Reegan Rae is in the Portland Business Alliance’s Leadership Portland Class of 2017. This announcement follows the firm’s recent management buyout; the promotion of Ms. Rae reflects the firm’s dedication to elevating its seasoned, tenured professionals to positions of leadership to ensure that the firm retain its independence, maintain the highest level of client service, and continue to provide forward-looking investment advice.